Elvis! Greatest Hits For Easy Piano "By Elvis Presley. For voice and piano. Hal Leonard Easy Piano. Rock 'n' Roll and Rockabilly. Difficulty: easy-medium. Songbook. Lyrics, piano accompaniment and chord names. 96 pages. Published by Hal Leonard"
I Can't Stop Loving You "By Don Gibson, Ray Charles, and Elvis Presley. For piano, voice, and guitar (chords only). Country; Love; Standards. 7 pages. Published by Hal Leonard - Digital Sheet Music"
Welcome To My World "By Jim Reeves and Elvis Presley. For piano, voice, and guitar (chords only). Country; Love; Pop. 3 pages. Published by Hal Leonard - Digital Sheet Music"
The Elvis Fake Book "By Elvis Presley. For voice, piano and guitar (chords only). Hal Leonard Fake Books. Rock 'n' Roll and Rockabilly. Fakebook. Vocal melody, lyrics, piano accompaniment and chord names. 152 pages. Published by Hal Leonard"
Blue Moon "By The Marcels, Elvis Presley, and Rodgers and Hart. For piano, voice, and guitar (chords only). Musical/Show; Pop; Standards. 4 pages. 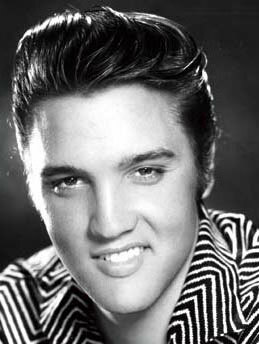 Published by Hal Leonard - Digital Sheet Music"
Pledging My Love "By Johnny Ace, Elvis Presley, and Emmylou Harris. For piano, voice, and guitar (chords only). Country; Inspirational; Love; Pop; R & B; Rock; Standards. 2 pages. Published by Hal Leonard - Digital Sheet Music"